May You Live in the Interesting Times is the title chosen for the 58th Venice International Art Exhibition, an expression that takes origine from a false Chinese anathema and wants to reflect on the alternative meanings that exist behind what we often take as “factual data”, proposing different ways of relating them to each other and contextualizing them. Curated by Ralph Rugoff - Director of the Hayward Gallery in London - the 2019 Biennial of Art aims to place the emphasis on the social function of art, involving visitors in a series of meetings that will be essentially playful, starting from the idea that "It's when we play that we are more completely human". The course in Contemporary Art in Venice: the Biennale Exhibition offers the exciting opportunity to live and fully experience the event, providing students with the appropriate reading keys to understand also its implications, such as the new trends of Contemporary Art, its market and complex system. Aim of the training path is to provide students with knowledges and tools useful to understand the way in which architecture can successfully dialogue with nature and human artistic expressions. Book now and complete your enrollment process to one of IED summer programs. Take advantage of the promotional offers for courses held in Italy and Spain. 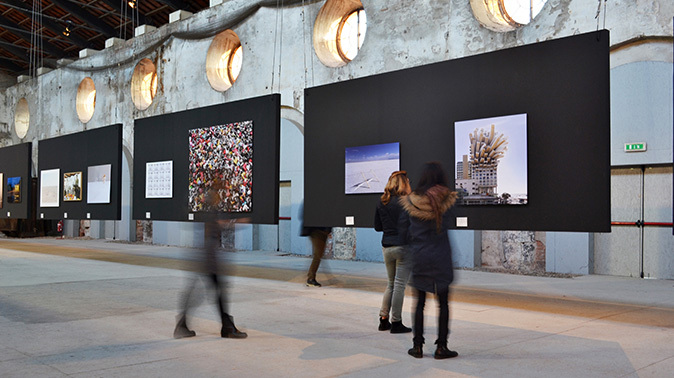 During the two weeks of the course students will have the chance to visit the two exhibition venues of Arsenale and Giardini, as well as a selection of the most interesting external Pavilions, meeting artists, curators, gallery owners, and professionals working at some of the main artistic institutions of the cities, such as the Pinault Collection, the Peggy Guggenheim Collection and MUVE (the network of the Civic Museum in Venice). Totally held in English, the course has a duration of 75 hours, from Monday to Friday with a full-time attendance. Prerequisites or educational training are not requested, but a basic bibliography will be provided to the students so to introduce them to the Contemporary art topics. The focus of the 1st week of class will be the contemporary art and the art foundation system. Students will have the occasion to meet and visit artists’ studio and important exhibition, organized at François Pinault Foundation (Palazzo Grassi and Punta della Dogana), Peggy Guggenheim Collection and in other prestigious venues. During the 2nd week students will experience the 16th International Architecture Exhibition through original thematic tours into the main Venice’s Biennale venues (Arsenale, Giardini and the most interesting external pavilions), analyzing through a specific final workshop the evolution of the relation between architecture, art and space.